How many championship title belts are there in boxing ? When Anthony Joshua defeated Charles Martin he became a world champion in heavyweight division but how and why since we already have Tyson Fury and Deontay Wilder holding three world titles in heavyweight division between them ? Well the answer to this question is not so straight forward. There are 4 major boxing sanction bodies called IBF, WBA, WBO and WBC respectively and they all have their own belts. So in all weight divisions we can have 4 different world champions. Why so many sanction bodies & belts in boxing ? 1) a group of high profile people in boxing did not like how other sanction body ranked fighters and champions and they got together and started their own sanction body, ranked their fighters/champions they way they thought was right. 2). Boxing promoters and tv networks realized that putting the word “world title fight” to boxing poster.promotion will help generate more ticket sales and better PPV rates. It has pretty much become a promotion tool for example Floyd Mayweather, Danny Garcia and Kell Brook headlining their own PPV cards with title fights in the same weight division. So there are four different organizations recognized worldwide (WBC, WBA, WBO and IBF) and all of them have their different rankings and sometime different rules and they also have their own world titles in each weight division, leaving us with so many world champions which is a shame really. 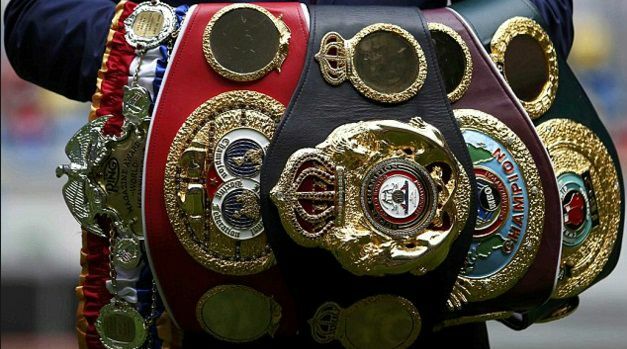 There are number of other titles available on both international and regional levels like British heavyweight champion, European heavyweight champions, WBC latino titles and what not. 6000 boxing belts worldwide: one of the biggest boxing statistics site called “boxrec” has produce a list of titles and they calculated around 350 little known titles at different levels of boxing pyramid alongside 4 major titles in every division, now there are around 17 weight classes and multiply 350 to 17 and you get around 6000 belts floating around world of boxing from lower levels to elite level of boxing. but why can’t there be only 1 major sanction body and 1 major world title in each division ? Well, the answer to that question is pretty obvious there is alot of corruption in boxing. WBA is the oldest organization established back in 1962 along with WBC which was formed a year later in 1963. belts from these sanctions bodies has more history to them compared with other relatively new sanctions bodies but both WBA and WBC has tarnished their credibility with number of corrupt/biased decision over the years and that is why it gave opportunity for other organization to make there way into top level boxing. Now we have four major boxing organizations which means 4 belts available in each division. Now 4 different sanction bodies and combine that with number of high profile boxing tv networks (HBO, Showtime and Sky box office etc) and promotional companies like golden boy, top rank, matchroom we have ended up with alliances. 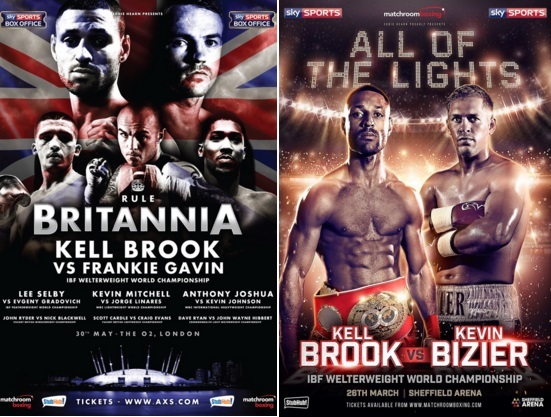 For example kell Brook is a IBF walterweight champion from United Kingdom and since winning his belt against Shawn Porter he has headlined two ppv events back in the UK on SkySports and all three of the opponents where mandatory challengers from IBF leaving us with terribly non-competitive fights. But Sky Box Office sell the fight as “World title fight”. While Danny Garcia who held WBA title in welterweight division fought number of dodgy fights and decisions in last few years. Now Anthony Joshua has won IBF heavyweight title and you can safely assume his promoter Eddie Hearns will feed UK viewers at-least 2-3 totally non-competitive PPV fights with selling point of “world title fight” before Joshua actually get into the ring with some other champion. So which boxing belt is the most prestigious ? As the word go, WBC is the belt boxers mostly want to capture but these days belt is as good as the champion who is wearing it. Historically speaking Rink Magazine champion use to hold the biggest prestige followed by WBC. But these days non of the sanction body belt matters more than others its just provide a promotion tool to sell fights and to have more world champions. As a boxing fanatic, im kinda pissed that we allow money hungry SOB’S control boxing and confuse us with so many belts. There should be one. Only ONE! This is what happens when you allow a ‘Free Market’/’Laissez Faire’ economic philosophy to rule over the sport. There is sparse regulation in from licensing, negotiations and medical parameters. Money is mover and shaker in boxing. Can you imagine any other sport running 4-5 concurrent championships, with players contracted to a stable run by a particular promoter, with matches taking up to nine months to negotiate? It’s madness. You’re right, let’s get the federal government involved in people beating each other to death. Actually it allows more fights to have a go at a World Title shot. Then, to make things more interesting once two fighters hold the belts, it enables a unique opportunity in sport to Unify the division. Then you have what is called the Lineal or Undisputed Champion which is what most of the comments here ask for.